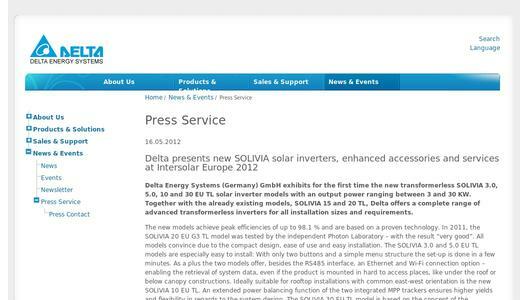 Delta Energy Systems (Germany) GmbH exhibits for the first time the new transformerless SOLIVIA 3.0, 5.0, 10 and 30 EU TL solar inverter models with an output power ranging between 3 and 30 KW. Together with the already existing models, SOLIVIA 15 and 20 TL, Delta offers a complete range of advanced transformerless inverters for all installation sizes and requirements. 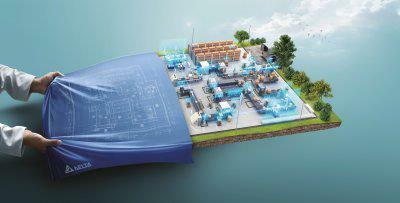 The new models achieve peak efficiencies of up to 98.1 % and are based on a proven technology. In 2011, the SOLIVIA 20 EU G3 TL model was tested by the independent Photon Laboratory – with the result “very good”. All models convince due to the compact design, ease of use and easy installation. The SOLIVIA 3.0 and 5.0 EU TL models are especially easy to install: With only two buttons and a simple menu structure the set-up is done in a few minutes. 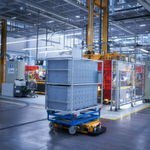 As a plus the two models offer, besides the RS485 interface, an Ethernet and Wi-Fi connection option – enabling the retrieval of system data, even if the product is mounted in hard to access places, like under the roof or below canopy constructions. Ideally suitable for rooftop installations with common east-west orientation is the new SOLIVIA 10 EU TL. An extended power balancing function of the two integrated MPP trackers ensures higher yields and flexibility in regards to the system design. 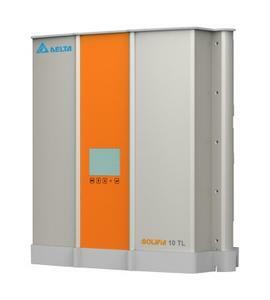 The SOLIVIA 30 EU TL model is based on the concept of the established 20 TL model, offering higher power output and the same housing of the SOLIVIA 20 TL model. The new transformerless models will be available on the market in the fourth quarter of 2012. At the 2012 Intersolar Europe not only are solar inverters the center of attention for visitors. More and more accessories, services and tools are offered for the installer and end user. Delta presents the new SOLIVIA Gateway in combination with the monitoring solution SOLIVIA Monitor. The gateway offers new features like power balancing and facilitated parameter configuration. 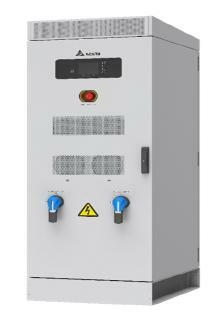 It is not only useful for monitoring purposes but offers as well an interface for the connection with a ripple control receiver, which is mandatory for installations larger than 30 kW in Germany. The advanced version of the SOLIVIA Monitor portal will be presented as well at the Intersolar exhibition, convincing with improved usability and menu structure. Gateway and portal are applicable for installations up to 100 kW and cover solutions for end users with smaller, residential installations as well as commercial PV plants. Another highlight is the new SOLIVIA PV Planner. The tool supports the installer with the configuration of PV installations containing a large database of different PV modules. The new PV installation configuration tool will be offered free of charge and will be accessible through the company website www.solar-inverter.com. Visit Delta at the Intersolar from June 13-15 in hall C3 at stand 460. Delta Electronics Group is the world's largest provider of switching power supplies, as well as a major source for power management solutions, components, visual displays, industrial automation, networking products, and renewable energy solutions. More than 80,000 people work for Delta all over the world in sales, development and production. Delta’s subsidiary, Delta Energy Systems, has been investing in the development and marketing of solar inverter products since 1999 and successfully supports Delta’s mission: "To provide innovative, clean and efficient energy solutions for a better tomorrow."